Faceplant into couch! As you’re waiting for Phish to take the stage on Saturday, December 29, tune into Couch Report, brought to you by Osiris and Relix. We’ll have special guests including Relix’s Mike Greenhaus, Tom Marshall and The Dude of Life. 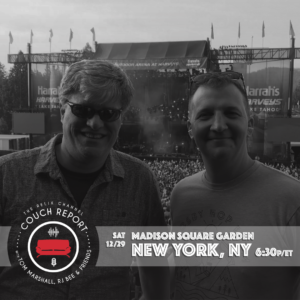 Phish analysis, commentary, hilarity and more. Check it out here.